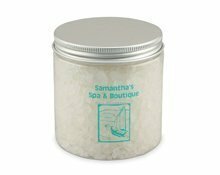 Private Label Salt Body Scrub with organic oils. Great for an exfoliating body wash. Choose from the largest range of cosmetic packaging including airless bottles, jars and flexible tubes which we can label or screen print with your branding.